Tickets on Sale – Wednesday 16 November at 9am! 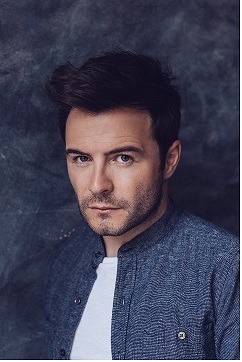 IRISH pop superstar Shane Filan has announced a huge UK tour in support of his second solo album Right Here including a date at St David’s Hall on Wednesday 9 March – and tickets go on sale this Wednesday (18 November) at 9am! The release of Right Here has cemented Shane’s position as one of the world’s most popular male solo artists following his incredible success with Westlife. Yet, this tour promises to show just why he’s so well loved in his own right. Right Here was mainly recorded in London and Denmark, with Shane working on the music with Cutfather (The Saturdays, JLS), Jez Ashurst (Will Young, Gabrielle Aplin), Jon Maguire (Union J) and Tre Jean-Marie (MNEK, Jason Derulo). It was released in October 2015 and reached No.1 on the Irish Album Charts and the UK Top 20 in its first week. Westlife had 14 chart-topping singles and 44 million sales – not bad for a young boy from the small county town of Sligo with a love of Backstreet Boys and Michael Jackson! Experience Shane Filan’s sensational solo material live at St David’s Hall! (plus an additional £2.95 Ticket Service Charge per transaction and an optional 95p postage fee).